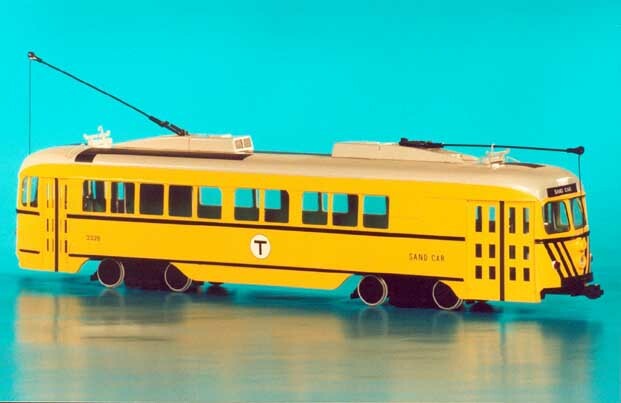 Boston’s Metropolitan Transit Authority (MTA) purchased eight used PCC cars from Dallas in September 1958. 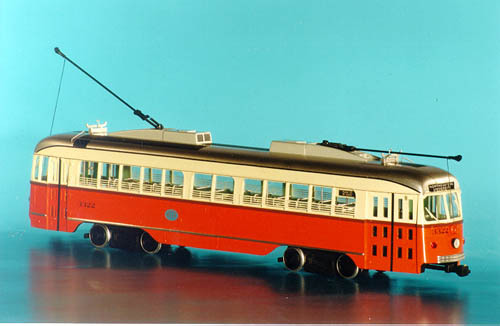 They were built by Pullman-Standard in 1945 (order W6699) and were the only double-end PCCs to use a standard-length format. 17 more cars were bought in 1959. 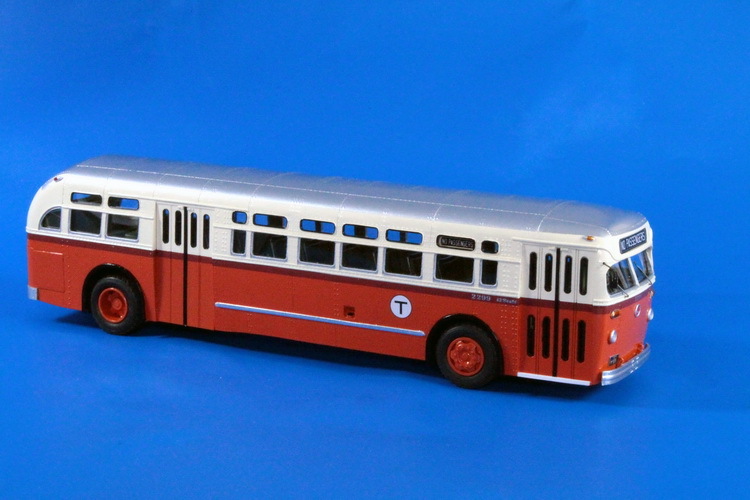 All 25 ex-Dallas PCC underwent a three month rehabilitation by MTA. 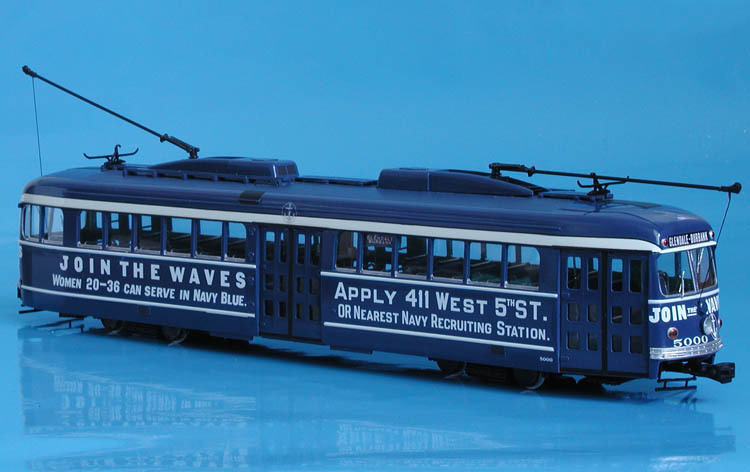 They were repainted to MTA colors, handbrakes and Tomlinson couplers were installed and the reversible seats along one side were removed and replaced by longitudinal seats. They were numbered 3322-3346 in Boston and were known as “Texas Rangers”. 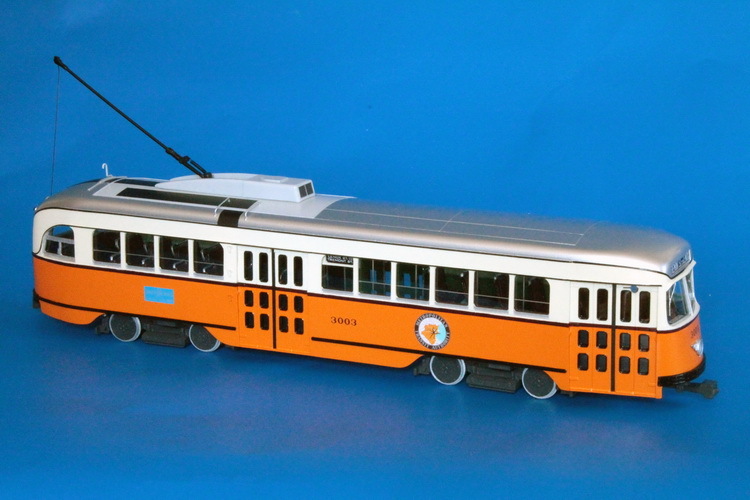 In 1972-77 some of them were converted to single-end operation, three PCCs were rebuilt to service cars. 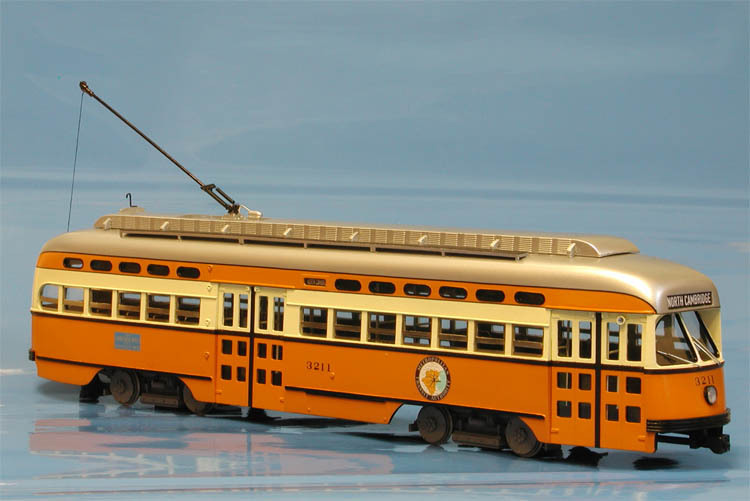 1941 MTA Boston Pullman-Standard PCC (Order W6629; 3002-3021 series) - post'47 - late 50s livery. 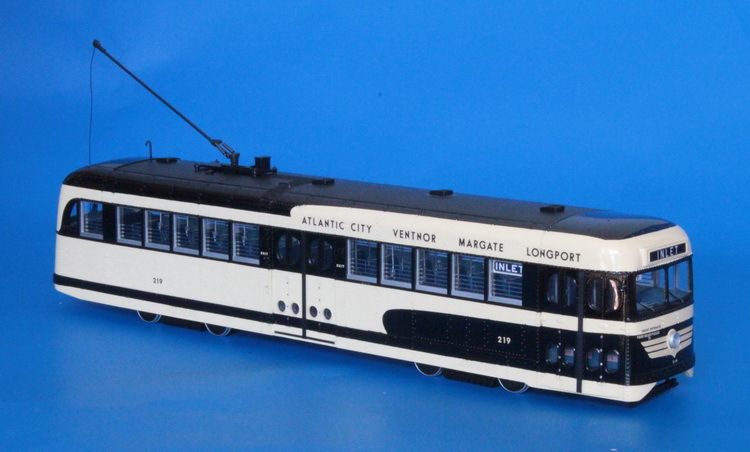 1940 Atlantic City Transportation Co. J.G.Brill Co. Brilliner (202-225 series) - post'46 livery.